Life insurance companies make billions of euro every year. Your friends don’t make billions every year. Life insurance companies are not your friends. Well, maybe your friends are Elon Musk and Bill Gates and they do make billions of euro a year. It doesn’t change the point I’m making though: insurers don’t care about your best interests. Here’s the thing: insurance, in lots of ways, is kind of a tough one. It’s necessary – of course it is – but it doesn’t exactly make you feel great. You’re giving a very rich corporation your hard-earned money so that your family can be financially stable if you die. You’re basically betting on your own death. But, it’s still a necessity. It’s especially a necessity if you’re not well or have been diagnosed with an illness. More than ever, you’ll be thinking about buying a policy. So why, then, do insurers and the banks make it so bloody difficult? 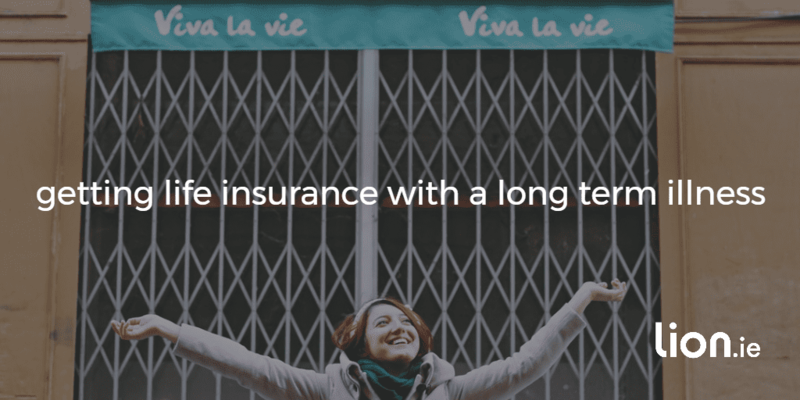 If you’re young and healthy, applying for insurance is handy. 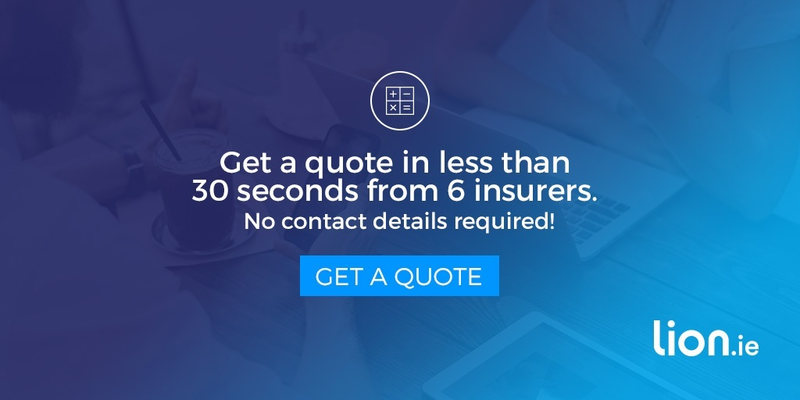 You use a quote calculator online, get in touch with a broker/bank/insurer and away you go. If you’re unwell, you can request the same quote with no bother but you’ll have to disclose your medical issue – which is where it starts to get messy. How much your health will affect your price will depend on your illness. If it’s mild, you might get away without having to pay extra. If it’s moderate, you may have to pay an increase. If it’s a severe case, you’ll be hit with a premium increase – and you may be declined or postponed by the insurer you apply to. Sometimes, the insurers will essentially hedge their bets to see how you respond to any treatment or how you’re doing six months down the line. The insurer will also probably request a PMAR (Private Medical Attendants Report), which is a medical questionnaire that they send to your GP. how has it been treated? have you been compliant with treatment? how have you responded to treatment? Basically, it’s so the insurer can get an accurate look at your health – and the odds of anything happening to you. The insurer asking for a PMAR doesn’t necessarily mean you’ll have to pay a higher premium; it could just be that they want to make sure the information you’ve given is accurate. Once they have the form, the underwriters (the dudes in the depths of the dungeon who fight dragons and/or do the statistical analysis on applications) will do the maths and your insurer will send a quote back to you. Just a heads up though: GPs can be woeful with the PMAR so it might take them a few weeks to send it back to the insurer. Sometimes it can take them so long, you might think your PMAR has been nicked by the same lads who stole Shergar, so don’t be afraid to get onto your GP if it’s been more than a week or two. Why is insurance more expensive if you have bad health or a medical issue? Big Life Insurance companies can already feel like a “me vs. them” situation, but it gets worse if you’re not in perfect health. If your health isn’t perfect, they see you as more likely to make a claim against them. It’s what they call risk. They make billions of euro by managing this risk very well. If they see you as more likely to make a claim/more risky, they’ll charge you more. Which is why you gotta fight for your right to party get the best price…by making sure you apply to the correct insurer for your health condition. It can feel like one long cod. And I get it, I do, but you can fight the insurers at their own game if you have the right knowledge. This is why brokers like me are so useful: I’m fully independent; I work with all six insurers; and I know the ins-and-outs of the policies and how each insurer treats various illnesses and cases so I can match you up with the insurer who’ll be the most sympathetic to you. It might be a game of risk, but I know how to mitigate it. So I’m a broker and I deal with four main types of insurance: Life Insurance, Mortgage Protection, Serious Illness Cover, and Income Protection. If you’ve got a fairly serious health condition, chronic illness, or issues with your health, you’re probably already over a barrel in that getting Income Protection or Serious Illness Cover probably isn’t that possible. Income Protection is super useful, but it won’t cover the illness you already have. The insurers are feckers for that, but unfortunately the rules are the rules. It’s the same with Serious Illness Cover, though you might still be able to get cover for other illnesses. Now, the big ones are Life Insurance and Mortgage Protection. They’re the ones that really matter – Life Insurance so that you can protect your family financially if the worst were to happen and Mortgage Protection so that you can own a home to call your own. Let me say this again: it’s crap that the insurers and the banks make it harder for you to get Mortgage Protection or Life Insurance. No doubt, it can feel really unfair. It’s not your fault that you have bad health – but you do have options. Like I said above, sometimes the insurers might turn you down or postpone you. It happens – rarely, but it does still happen. It could even be that you’ve spoken to someone and they’ve scared the bejaysis out of you about your chances of getting insurance. If an insurer turns you down, it doesn’t mean the others will. If a bank turn you down, it doesn’t mean the others will either. See, the banks each work with just one insurer (many of them actually work with the same insurer), and obviously they’re not going to recommend you apply to one of their competitors based on your health condition. So what you need is the option to go to all six insurers with your case. Remember what I said about working with a broker? It’s particularly true for people with bad health – and that’s not a sales pitch. Being serious, I’ve worked with hundreds of clients with health issues and got them insurance. You could say it’s something of my speciality at lion. I work with all six insurers and I’ll take your case to them individually so that you have the best chance of getting the best cover for you. To help you out, I’ve written blog posts on a whole list of illnesses below and how getting insurance might be affected by it. It’s a super useful starting off point and I’m always happy to talk on the phone. To see the full list of blogs about getting Life Insurance with an illness, head over here. I’d be surprised if you have a condition we haven’t come across before. But if you think you do, I’d love to hear about it. I welcome the challenge of getting you a fair price even if you have an uncommon condition! I’m a Dad and I’m self-employed so I get it: everyone should be able to get insurance. It’s lion’s mission – so let’s sort it out together. Don’t let your health condition discourage you from applying for Life Insurance or Mortgage Protection. Cover is available if you do your homework and use a specialist broker…with knowledge of the whole market. That’s why I’m here, to guide you through the whole journey. From beginning to end. There are quite a few insurers in Ireland, which means that you could spend ages stuck on the phone, pressing one for this, two for that, feeling your life slowly ebb away. And when you finally get to speak with someone they haven’t a clue about how your condition will affect your application. They’ll send you a 20 page form to complete, cross their fingers and hope for the best. Instead, let me do all of that hard work for you. Calling me is like contacting all 6 insurers at once. Where else can you get this kind of service? 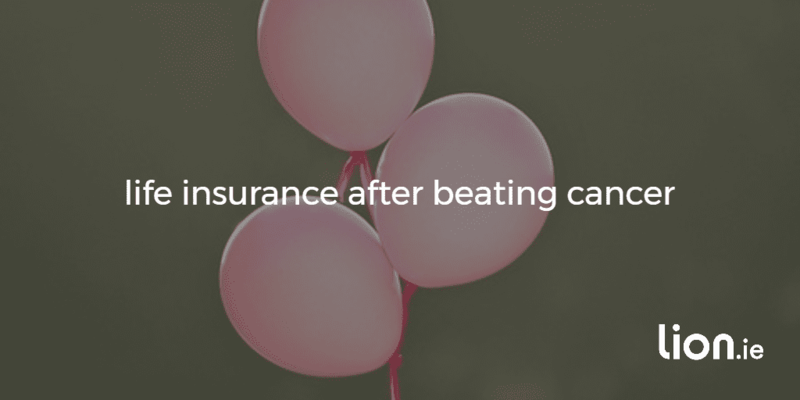 It's possible to get life insurance after cancer. But it depends on the type of cancer and how aggressive it was. Here's out quick guide to applying for life cover after cancer.